The PlayStation people promise a lot of things. They did one year ago. Now those promises and plans are being checked, by me, to see which elements of their E3 2009 Sony hype came true and which did not. Sony is the third victim this week, following the Kotaku promise-checking of Microsoft's E3 2009 festivities and of Nintendo's E3 2009 showcase. Kotaku gave all three companies, including Sony, the same treatment last year. Today, fresh off of re-experiencing Sony's marathon June 2, 2009 E3 briefing I can show you that, well, Sony is not best at delivering promises or sticking to the plan. 1) These Sony people predict, plan and promise a lot of stuff, going for an A in ambition, surely. Too ambitious, as you'll see. 2) Nothing beats the accuracy of a live game demo for showing something that will prove to be true to the hype. Sony had many games played live on stage at E3 last year, and all that have been released have played at least as well as shown. 3) It's the year of the PlayStation every year in Sony land, it seems. Sony, your E3 2009 promises are being checked today - exhaustively. Background: The Sony press briefing occurred on June 2 in Los Angeles. This showcase lasted one hour and 57 minutes. "2009 will be best year ever"
PlayStation U.S. boss Jack Tretton said '09 will be the best year ever for PlayStation. Verdict: I'm going to say no. Come on, Jack, '09 wasn't as good as the GTA III, Metal Gear Solid 2, Final Fantasy X and Ico year that was 2001, right? Tretton rattled off some huge games scheduled for PS3: Modern Warfare 2, Final Fantasy XIII, Ratchet & Clank Future: A Crack in Time, Batman: Arkham Asylum, Heavy Rain, "Rock Band Beatles" (whoops!) and more. "In 2009, if you want to have the ultimate gaming experience, you need PlayStation." Verdict: Of course! These games all came to PS3. Easy call there. But may I point out that a couple of those games didn't come out until 2010? We were told that there would be 100 new titles for PS2. Tretton said that the PS2 would launch in Brazil, Uruguay and Paraguay in the summer of 2009. Verdict: Hmm. Not sure. Pardon me if I skip checking this one. The PS2 launched in Brazil this past November. I'm not sure about Paraguay and Uruguay, but that's my fault, not Sony's. Depends on your definition of "35"
Tretton said inFamous was one of more than 35 games coming out in 2009 on the PS3 that would be platform-exclusive. Verdict: Misleading in that there were not 35 PS3 exclusive games in game stores in 2009. About two-thirds of Tretton's total were downloadable PlayStation Network games; not necessarily bad games but not the kind of games platform holders usually count when boasting of the number of their exclusives. After setting up an impressive live demo of Uncharted 2, about which no promises were made other than the game would be cool, Tretton set up a live demo for MAG. Following the demo, Tretton said he was looking forward to seeing MAG make its debut on PS3 in the fall. Verdict: Nuts. He should have said "January." Then I wouldn't have to dock him any points. But, yeah, Uncharted 2 was cool, indeed. On the PSP front, Tretton dated Dissidia Final Fantasy for August 25 and Assassin's Creed Bloodlines for November 10, and a Hannah Montana -bundled lilac PSP in July. Tretton said that the PSP would get Petz, Loco Roco 2, Patapon 2 and Rock Band Unplugged by the end of the year. Verdict: Right about FF and most of the rest, a week early about AC. Kaz Hirai, president of Sony Computer Entertainment, revealed the "worst kept secret of E3," the disc-less PSPgo, which he assured us would not replace the PSP 3000 or the UMD. He said the unit would have 16 GB of internal flash memory and built-in wi-fi. Verdict: On the money! More so than he wanted to be, methinks. Hirai said that Sony would improve the tools PSP owners could use to move media from their computers to their PSPs with a new program called Media Go. And, he said, a fall-scheduled application called SensMe could be used to detect a PSP owner's music taste and configure their music playback based on their mood or other preferences. He said that PSP development tool-kits would drop 80% in cost, to make development more viable. Verdict: Yes, this stuff came out. SensMe was out on October 1. Did you use it? Hirai: "All PSP titles, moving forward, will be digitally distributed via the PlayStation store and at retail via UMD as well." Verdict: Not all of the PSP games released in the PSPgo era came out simultaneously on UMD and digitally. LittleBigPlanet PSP, for example, lagged by a week. But Sony has stuck to the digital release strategy and third parties have been following along. There may be a PSP UMD game or two, such as January's Shadow of Memories from Konami, that has not been released digitally in the U.S. But most new UMD games do appear to have received a digital release since late last year. The PSPgo was dated for October 1 and priced at $249 and 249 Euros and 26,800 yen in Japan in November. Verdict: Correct. But not a price that people loved. Kazunori Yamauchi took the stage to announce Gran Turismo PSP, the Duke Nukem Forever of Sony's portable, a game so many years in the hyping and making. Yamauchi described GT PSP as a full-scale edition, running at 60 frames-per-second with 800 cars and 35 tracks. "This is not a shrunken down sub-set of the series." Users would even be able to trade their cars with each other. The game was dated for October 1. Verdict: Wow. Let's just give this a complete true/thumbs-up/yes for actually being real. This game actually came out! I wasn't expecting that. It came out on October 1, to boot. Hideo Kojima took to the stage a day after announcing Metal Gear Solid Rising at the Xbox 360 press conference (in English) to announce (in Japanese) Metal Gear Solid: Peace Walker. The Sony game would be for the PSP. "The setting is 10 years after Metal Gear Solid 3, the 1970s," Kojima explained through a translator. "I can say this is a true sequel of the Metal Gear franchise." He added that he would be deeply involved in the game, writing the script and producing it. The MGS4 team would even participate in this one. "It's not a spin-off; it's not a side-story." Dated for 2010. Verdict: In locking in this Peace Walker promise, Kojima kind of invalidated part of his promise of the day before at the Microsoft event. Oh well. The game is hitting its 2010 release date. Tretton said there would be a new Resident Evil for the PSP in 2010. He also said LittleBigPlanet, SOCOM Fireteam Bravo 3, Monster Hunter Freedom Unite, MotorStorm Arctic Edge, Hannah Montana and Harry Potter would all be out in the holiday season of '09. A hype reel for PSP '09 games showed many more games, including a new Jak and Daxter, a new SoulCalibur, the new Rock Band and Madden, Invizimals, Fat Princess and Echoshift. Verdict: Mixed. Some of these came out as planned in late '09. SOCOM slipped to February 2010. Monster Hunter was actually out in June of 2009 in the U.S. Invizimals came out in Europe in 2009, but still hasn't reached the U.S. Echoshift and Fat Princess slipped to 2010. Kind of weird. But what about that 2010 Resident Evil? Haven't heard a thing about it since then. Tretton promised that more than 50 PlayStation 1 games would be added to the PlayStation download store in 2009. Verdict: True, just barely, according to Wikipedia. A hype reel for upcoming PS3 games included Uncharted 2, Madden, Final Fantasy XIII, Batman: Arkham Asylum, Brutal Legend, White Knight Chronicles, Ghostbusters: The Game, Ninja Gaiden, Wet, Mafia 2, Buzz, Saw, Ice Age, King of Fighters, Overlord 2, Red Faction: Guerilla, Tiger Woods, Dark Void, Guitar Hero: Van Halen, Heavy Rain, Battlefield: 1943, Hustle Kings, PixelJunk Shooter, Trash Panic, Critter Crunch, Katamari Damacy, Fat Princess, EyePet, Singstar Queen, DC Universe Online, LittleBigPlanet, The Saboteur, Bioshock 2, Ratchet & Clank Future: A Crack in Time, Fight Night Round 4, God of War III, and more. Tretton name-checked Lost Planet 2 and said it would be shipping in early 2010. Verdict: Phew! They all came out … or, in the case of DCUO (Update: and Mafia 2), will be coming out on PS3. On Lost Planet, I guess May counts as "early" 2010. Tretton declared and repeated that Rockstar North, makers of Grand Theft Auto and Manhunt, would release a game called Agent exclusively on the PS3. Verdict: As far as I know, it's still coming. Ubisoft's Patrice Desilets narrated a live play-through of part of Assassin's Creed II. He promised the new game would offer players more "diversity of experience" than the original did. He showed a mission involving Ezio swooping in for kills strapped to Leonardo Da Vinci's flying machine. Desilets promised more than 30 weapons in the final game and that six would be unlockable by syncing the PSP Assassin's Creed game to the PS3 one. He said the PSP and PS3 games would be out in time for the holidays. Verdict: Correct about the release timeframe, the number of weapons and the variety of gameplay. I just hope folks weren't expecting a lot of flying machine missions. The man did said "diversity of experience", people! After saying Final Fantasy XIII will be out for the PS3 in the spring of 2010, Tretton cued up a trailer for the game. And then… he started talking about Final Fantasy XIV. He declared that "PlayStation 3 will be the only console you'll be able to play Final Fantasy XIV on when it launches in 2010." The thing you wound up playing in the spring, remember? They switched to talking about the new PlayStation Motion Controller (now known as the Move), with Tretton and Sony scientist Richard Marks both retroactively declaring the PlayStation 2's EyeToy camera as the industry's first true motion controller. Marks and a colleague, Anton Mikhailov, then showed the new wand-and-camera motion controller set-up for the PS3, waving through some demos, including one that made it seem as if the controller held in Mikhailov's hand had turned into a cartoon tennis racket or a swinging mace. Marks boasted that they were showing 1:1 motion tracking and true 3D pointing that could be detected from any position. He said the controller would be good for both casual games and "gamer's games." They showed demos of construction apps and drawing programs, a first-person shooter and real-time strategy game. Of the controller, Marks noted, "The final look will change… this is an engineering prototype." After all that, Tretton said that the PlayStation Motion Controller would launch in spring 2010. Verdict: The live demos of the controller were impressively accurate. I felt that accuracy myself when I tried the Move earlier this year. The promise of the tech is holding up so far. But that spring 2010 release date has turned out to be fantasy. Move still isn't out. Tretton hyped the coming launch of a LittleBigPlanet PSP game as well as new Sackboy costumes for PlayStation 3 based on Pirates of the Caribbean, Cinderella and The Incredibles, starting to launch in the fall. Verdict: The Pirates and Incredibles packs came out. The Cinderella stuff has not. ModNation Racers was revealed, and a track was made live on-stage, using the game's slick track-creating interface. The creators promised a 2010 release. Verdict: Looked good. The game's track-maker would work as demonstrated when the game shipped in 2010. 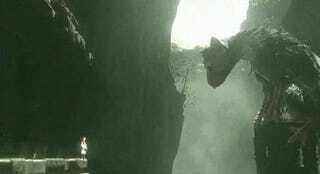 Tretton introduced a trailer for The Last Guardian, the final game in a trilogy that started with Ico and Shadow of the Colossus. Then he showed us a teaser for Gran Turismo 5. Finally, we got a live demo of what Tretton said were "the first few minutes" of God of War III. The game's director, Stig Asmussen, said God of War III would be released in March, 2010. Verdict: No reason to think these games aren't coming to PS3, though the God of War III demo actually undersold just how topsy-turvy and action-packed the first minutes of Kratos' PS3 debut would be. The demo was taken from the lead-up to the fight with Helios, not the game's more titanic opening sequence. Perhaps Tretton meant these were the first few minutes that we were seeing, not the first few minutes of the game. That would explain it. Stig nailed the release date. Final Judgment: This was a bold showing by Sony full of more and, Natal aside, more ambitious promises than the Microsoft and Nintendo E3 2009 events. Unfortunately, it was also the press conference with the most whiffs, missing the release dates of MAG and Move and a batch of PSP games. Oddly, the constrained hype for the PSPgo was spot on. For making such a big deal of the motion controller and getting that timeframe so wrong, and for being somewhat smoke-and-mirrors with some of the hype here (35 PS3 exclusives? ), Sony gets a C.
PICs via Gamespot's feed of the Sony press briefing.